Full service facilities available including MOT testing, tyre fitting and electronics/ fuel injection diagnostic capability. Supply and fit service available for Vance & Hines Fuel Pak on all Harley Injection models. 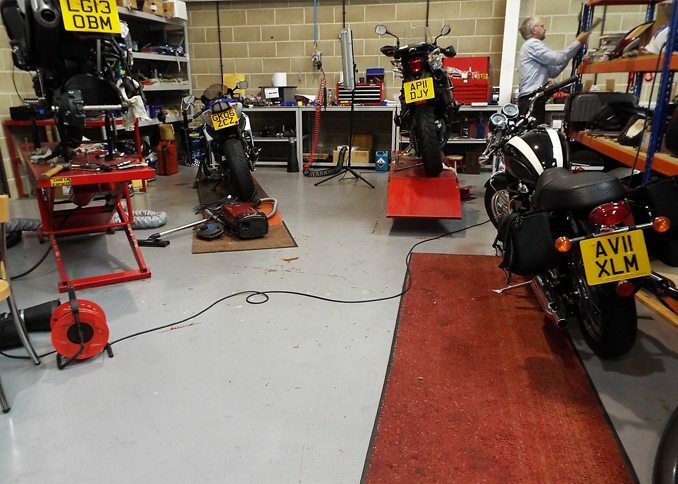 12 month Mechanical breakdown insurance currently on offer for just £100 with all bike sales.